Factory warranty until May 16,2020 or 700 hours,whichever comes first. 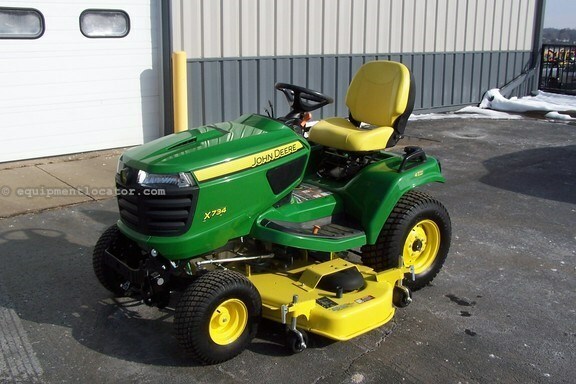 Equipped with a 60" high capacity mower deck and turf tires. 4 wheel power steering,hydrostatic transmission with differential lock,powered by a 25.5 hp Kawasaki fuel injected liquid cooled engine,hydraulic mower deck lift,tilt steering wheel,adjustable seat,cruise control,12 volt outlet,headlights and taillights,toolbox and cup holder. Steering,matched with this mower deck allows for uncut circle of grass of 12 inches. Most customers,after experiencing the 4 wheel steering would have a hard time parting with the maneuverability of this machine.